1 Phase, speed : 2" per-minute. Machine steel, plated, 4" dia., 3"
height, with collar and base plate. hammer weight, 18" drop height. 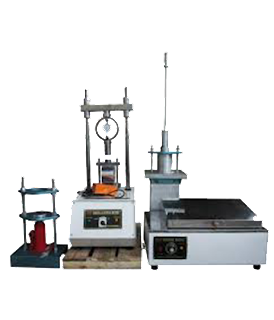 Wooden base with steel platen. dial indicator 30 x 0.01 mm.